Those of you who haven't seen 2008's Rambo, the following paragraph contains minor spoilers. At the end of the last Rambo, we saw John return to the U.S., so it will come as no surprise to learn that the fifth Rambo will be set in America. 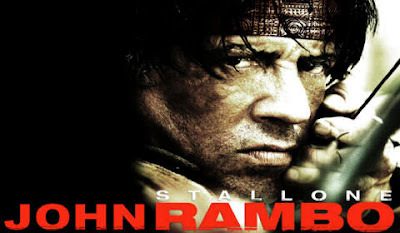 The story will follow John Rambo "fighting his way through human traffickers and drug lords to rescue a young girl abducted near the U.S.-Mexico border." A long list of producers for the film include; Avi Lerner, Kevin King Templeton, John Thompson, Danny Dimbort, Trevor Short and Boaz Davidson.